What should you do with your Excess Belongings While you Move? When you are moving out of state or just up the street, having an abundance of belongings can be an enormous problem. In such situations, research and preparation is vital if you plan to have a successful move. So, if you can’t take all of your possessions with you to your new home, what are you going to do with them? If you decide you cannot part with them, where and how are you going to store them? These are questions that clearly need answers and fast! Have a Garage Sell. This may seem like a cliché answer, but this works for a number of reasons. Not only will you be able to lighten your load, but you will also be able to make some extra cash on the side. Truth be told, anyone who is moving to a new house can use all the extra money they can get their hands on. Once you sell those items you thought you could never live without, I promise you will not think twice about them. Chances are, when you get so busy with settling into your new home you will forget all about them. You will be surprised at how successful a well-planned garage sale can turn out. Depend on your family and friends. If you are trying to save a few bucks on your move and purchasing a storage facility is not in your budget, this could be your best option. By asking people close to you to store your possessions you are not only saving money, but you can have a greater peace of mind knowing that your things are secure. Hopefully for you, they really love you because this is kind of a tall order to ask. Purchase a Storage Facility. This is usually the most common option people choose. If money isn’t an option then go for it. However, make sure you properly research the storage facilities before you decide to conduct business with them. You need to ask them question such as are their facilities secure, will your belongings be protected during harsh weather conditions, and if something happens to your possessions will you be compensated for your loss? It is imperative to be properly educated about what you are getting yourself into. Always proceed with caution. You can never be too careful. Throw Things away. This may seem a bit harsh, but chances are you do not need half of the things you have this unnatural attraction to. Letting go of old or unused items helps you make room for bigger and better things. A new home symbolizes a fresh start. What better way to begin a new life than with less clutter. You will appreciate this tip later. Trying to find the perfect storage solution for you and your family may take a little time. The best thing to do is decide what you can and can’t live without. Once you have done that, it is easier to make the best choice for everyone involved. Who Really Profits From Storage Auctions? storage auctions, like the ever-popular Storage Wars and its spin-offs. case. In fact, high profits can create headaches for storage facilities. that amount are supposed to be returned to the delinquent tenant. available to rent out to paying customers. is because auctioneers are paid a percentage of the total for the day. It’s in the auctioneer’s best interests to encourage high bids. knowing he doesn’t need to deal with the unit himself. Self-storage is growing in popularity across the UK, which is why we’ve compiled a list of tips and hints to help you select the right storage facility to meet all your needs! Regardless of whether you’re confined by a budget, or you need a storage unit that’s close to your home or office, these notions will surely help those of you embarking on the idea of self-storage for the first time! When hiring storage facilities you need to make sure the storage services you want are catered for. Firstly consider convenience. 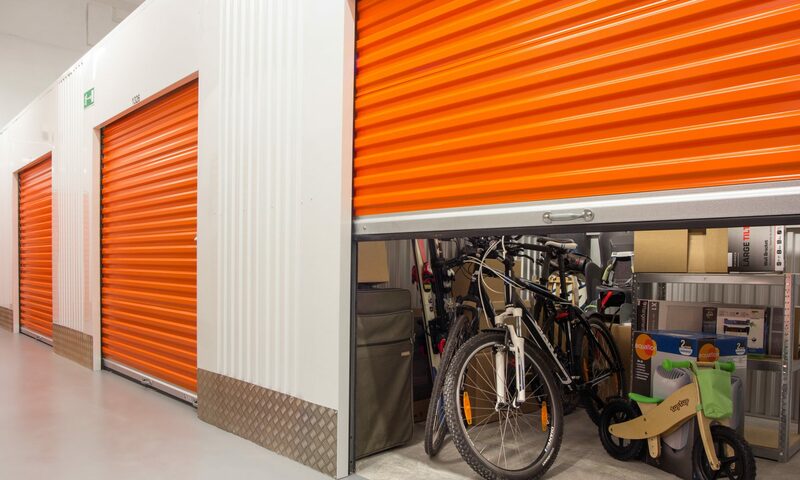 While self-storage units offer customers the ideal opportunity to de-clutter their home or office and even act as a stop-gap when relocating, make sure the secure storage is located close by, as you don’t want to be driving for miles every time you need to access an item! This brings me to my next point… flexibility! Enquire with the company about opening times and when you can access your possessions in storage. If you run a business you want to have more regular access to your self-storage room and don’t want to be left in the lurch if you can only gain access at weekends or during the evenings! When you ring up a storage company make sure you are given a written quote on the cost of using self-storage facilities. You don’t want to be presented with any hidden or surprise costs once you’ve hired that much needed storage space. Once you’ve received the full self-storage prices, then you can do the maths and calculate what is affordable to you. Also don’t settle for the first house removals and storage company you speak to. Ring around to hear quotes for the use of storage facilities in your area! There are so many rogue companies out there, trying to earn a fast buck and perhaps leave you high and dry! So make sure the storage company you hire is reputable in every sense of the word. Remember these are your valuables we’re talking about, so you’ll want to be sure of secure storage and a reliable service! Before even leasing a storage unit, calculate how much space you will actually need. The prices of self-storage units vary, depending on the size, so you won’t want to pay for storage facilities you don’t require! However it’s important to remember that if you will need regular access to your belongings in storage, to lease a storage room or unit that is large enough to have a corridor between rows of your belongings. It is also a good idea to check out the storage unit before committing to it. Look out for whether or not is in good condition and sealed as well as clean and tidy. Secure storage is probably customers’ prime concern when storing their valuables and possessions outside of their home or office. Consider the storage facilities’ security. Is there a security fence, CCTV and round the clock security? If yes, then you’ve probably nothing to worry about and all your belongings should be more than safe! To find that perfect self-storage solution why not have a look online. Remember that anyone can set up a website so make sure to call the company and visit their storage facilities. Another good way to find a reputable company is via word-of-mouth. If you know of anyone who’s used self-storage space recently why not ask them if they’re satisfied with the service. You don’t really want to learn via trial and error when it comes to self-storage rooms! It’s exciting to begin fresh in a new home. A blank canvas for decorating, a place where you have the freedom to make it home. But moving is no small feat. It can be nerve-wracking to sort through and pack up all your belongings. Such a bold project involves countless details, which are sometimes overwhelming, and always entail unexpected hiccups. In the chaos of transition, people often leave themselves susceptible to identity theft. Here is a to-do list to guide your planning and help prevent your identity from being stolen. If you’re moving by yourself, enlist the help of family and friends who you trust. Spend the morning loading the truck, and treat everyone to pizza for lunch. If you’re planning to hire a moving company, first ask for referrals from people you trust. See if they can give you any recommendations. Get written estimates from at least three companies before finalizing and make sure they have seen what all needs to be moved. This will help eliminate any miscommunications on moving day. Moving is a great time to declutter. For an identity thief, the perfect document has details like your bank account number, credit card number, insurance info and passwords. However, even gift certificates which have your birth date on them or an electricity bill which has your full name and phone number on it can put your identity at risk. The solution: invest in a good paper shredder. Tearing up your paperwork isn’t enough as the pieces can easily be taped back together. Shredded paper is cumbersome, if not impossible, to piece back together. Change your address for all subscriptions, bills and deliveries. Be sure to update your address for credit cards, car loans, bank statements, 401k and investment statements, mortgage statements and any other financial documents. One of the easiest ways to steal an identity is through mail theft. The U.S. Post Office has a Change-of-Address form that is easy to fill out and ensures that all your mail is redirected to your new address. In addition, write a quick email to your contacts giving them the new address for any correspondence. On the actual day of the move, keep all your important documents with you. Ideally, these should never be handed over to your moving company. In the event of there being no other solution but for the movers to transport your documents, invest in a secure safe. Do not hand over your computer or laptop to the movers. Accessible data like passwords, account details and documents make you an easy target. Subscribe to an identity theft protection service, which constantly scans for potential threats and helps you get your identity back if it’s stolen. Although you should always be cautious with sensitive information, using a service like Lifelock helps to shoulder the burden of monitoring all your personal data, credit activity and suspicious transactions. Once you’ve settled into your new home, obtain a credit report. Look for any inquiries to your credit that do not match your old address. It could be an identity thief trying to use your details to open an account. If you have an identity protection service, it will flag activity like this. If you see activity that wasn’t made by you, contact the creditor that ran the report as well as the credit bureaus to correct the issue. Students are constantly on the move, and very rarely stay in one place for too long, whether it’s in halls of residence or shared accommodation with fellow students and friends! This is why students nearly always lease self-storage units, so they can keep their belongings safe while they are in between a move, or going home at the end of term. Graduates often also choose to hire self-storage facilities while they search for new accommodation and realise there’s no room for their belongings at their parents’ house! It is for this reason that we’ve compiled a few guidelines to help students when leasing storage space. Before storing your possessions you’ll need to pack them up and since you’re sorting through all your belongings, this could be the perfect time to rid yourself of old books you no longer need or clothes you wouldn’t be seen dead in again! If you’re torn between chucking something out and keeping it, throw it out! It’s likely you won’t want it in the long run and by donating to charities you could really be helping somebody else – not to mention saving yourself on storage prices! If you’re going to use packing boxes (which is advisable) make sure the boxes are sturdy and won’t buckle under the weight of books, clothes and shoes! Purchase some heavy-duty brown packing tape and really tape those boxes up tightly! Pack your boxes by evenly distributing weight and fill those boxes to capacity, buy make sure they aren’t bulging or too heavy to lift! Remember to label all your boxes so you know what you’re looking for in your Clapham storage room. Now once you’ve packed everything up, you can then have a rough idea of how much storage space you’ll require. Self-storage units come in all sizes, but remember the less you want to store, the less self-storage will set you back! There is also the idea of pooling your items together with friends and sharing a self-storage unit. This could save you some money! As a student you may not have your own form of transport so why not consider leasing a mobile self-storage unit! This is an absolutely perfect storage solution for those without cars! A self-storage unit will be brought directly to your location, where you can pack it with your boxes and once you’re done, it will then be driven to the storage facility! However if you have a driving license you might want to hire a van and do the transporting yourself and lugging of boxes with the help of friends! There are various storage options out there, and it’s important to keep your belongings in secure storage so they are not damaged. If you are a student in need of somewhere to store your musical instruments, then it might be worth checking out the storage prices of climate controlled storage facilities! The even temperatures will keep your instruments safe from any damage by humidity or even mildew! As a student you may very well be entitled to a discount off your self-storage unit, so be sure to enquire before signing a lease agreement. Many storage companies offer students the option of leasing self-storage units on a weekly basis, which is ideal if you only want to store your belongings until term begins again. There are so many benefits to student self-storage, as it saves you lugging your entire belongings home for the holidays. Choosing a secure storage space near your university or campus will really offer you convenience and give you peace of mind. Many companies near universities offer great deals when it comes to student storage options! As there are two sides to every coin, moving home is no exception. Although there are a million things to think of, do and pack, changing the address brings certain new prospects. In order to make the move itself easier, there are certain ways you can do things plus have small environmental footprint. Don’t believe us? Check these out! Do you really need all the things you currently have? Didn’t think so. Why take them with you then? Not only will your move be cheaper if you decide to take only what you need, but you will use less packaging materials, less labor and require less fuel for the moving van. Therefore, pare down your stuff, gather up what’s left and have a moving sale to earn some ready cash for your trip, or enjoy some tax credits by donating your usable cast-offs to a charity or a non profit organization. There is nothing as good for packing things as cardboard boxes. As soon as you know you will be moving, have friends and family members save clean, sturdy cardboard boxes that you can use for your upcoming move. The other option is to ask the manager at your local supermarket if they can save you a dozen or so of their cast-off cardboard boxes. Most markets simply flatten and recycle the cardboard boxes used for shipping food products to their store locations and they are happy to have you take some boxes off of their hands. If you are not such a big fan of cardboard boxes, or the majority of things you have won’t fit into them, there are companies that rent reusable packing crates. They can drop off the supply you need at your old location for packing purposes, then pick up the crates at your new location after you are done unloading your goods. This way you don’t have to think what to do with all the boxes once you’ve settled down. There’s no need to spend money on expensive disposable packaging materials, such as bubble wrap, in order to protect your breakables during a move (except if you don’t regret buying them only to pop them afterwards). Start collecting your daily newspapers so you can wrap fragile items when packing, or consider using bed linen and towels as a substitute in case you need cushioning material when packing up your household treasures. One of the most horrible things with moving is having to clean someone else’s mess so you can actually live somewhere. Therefore, it is only fair to leave the space in such a state that the new tenants can move in without much fuss – this means you should clean your own mess and not leave it to others to have to clean after you. One of the options is to hire an environmentally friendly professional cleaning company to do a thorough steam cleaning in every room in order to make your home more presentable. The other thing you can do is, if you are not so busy with moving, clean it yourself, but make sure you use non toxic and environmentally friendly cleaning products. After all, there’s no need to cause potential health issues with people who are coming to live there. Moving house is a chance for new beginnings. It is the perfect moment to stop collecting and hanging on to things you don’t actually need – one day you will be moving to a new home again, and you will have to let them go, so make your life easier – do not clutter. When shopping for cleaning supplies for your new home, consider purchasing only environmentally friendly products. Set up a recycling station in your basement or garage. And make it a rule not to bring an item into your new home without throwing out or donating something else that is old or no longer needed. And above all – enjoy your new home and your new beginnings. When it comes to storing our belongings in self-storage units or storage facilities, seldom do we think about the climate conditions. We just assume that our possessions will be kept safe and undamaged while in storage. However this is not always the case when it comes to the storage of certain items such as antiques, family heirlooms, musical instruments or even artwork! Simply wrapping them in protective materials and placing them carefully in a self-storage unit may not be sufficient to ensure their preservation. They may very well require a more consistent environment, which is why I want to talk about climate controlled storage facilities! In parts of the UK, temperature and humidity levels can rise and fall quite dramatically in the winter and the summer. These extreme temperatures can cause certain items of furniture to expand, crack or even rust. Meanwhile it’s not only furniture that can be affected by the weather. Exposure to elements can also damage upholstery and cause fading, yellowing or staining of fabrics! Climate control storage rooms maintain a steady temperature throughout all four seasons giving you no cause for concern! Another bonus to choosing climate controlled storage facilities is that your belongings are exposed to consistent air quality. What do I mean by this? Well, putting it plainly, this keeps your belongings free of collecting dust and grime by keeping humidity at bay! Changes in humidity levels can be exceptionally damaging to those more sensitive items like antiques or paintings and too much moisture will cause things to literally rot! So by opting for climate controlled storage you can rest easy knowing your belongings will be found in exactly the same condition as you left them! All climate controlled storage units are kept indoors, which means extra protection and security from outside intruders! You’ll be assured of more secure storage than if your self-storage unit were positioned outside. Unlike outdoor self-storage units, these insulated storage rooms will add extra protection against rats or any other pests that might otherwise settle in your furniture or clothes! One thing to remember is that the self-storage prices will be higher than traditional storage solutions, if you choose the climate controlled storage options! However you can’t really put a price on your valuables can you? And you might end up paying more in the long run to restore items damaged by exposure to weather changes… however slight they may be. The main plus side to using climate controlled storage rooms is that you are guaranteed additional protection from the elements of nature! If you want the highest end in self-storage solutions, then climate controlled storage units are the way to go! Now you need to ask yourself if you need climate-controlled storage. Just consider some the following questions and your answers should indicate whether regular self-storage units are sufficient for your needs! • Does the temperature in your storage space fluctuate below 32 degrees or rise above 90 degrees? • Is your storage facility located in an area with high levels of humidity? • Are you storing possessions of a high monetary or sentimental value? • Are you keeping items in storage for a prolonged period of time? • Will you be visiting your storage facility often? If you answered yes to three or more of the above questions then you may very well benefit from choosing climate controlled storage facilities. It might be worth enquiring about this storage solution, particularly if you’re storing electrical items, photos and books, antiques or even a vintage bottle of wine!